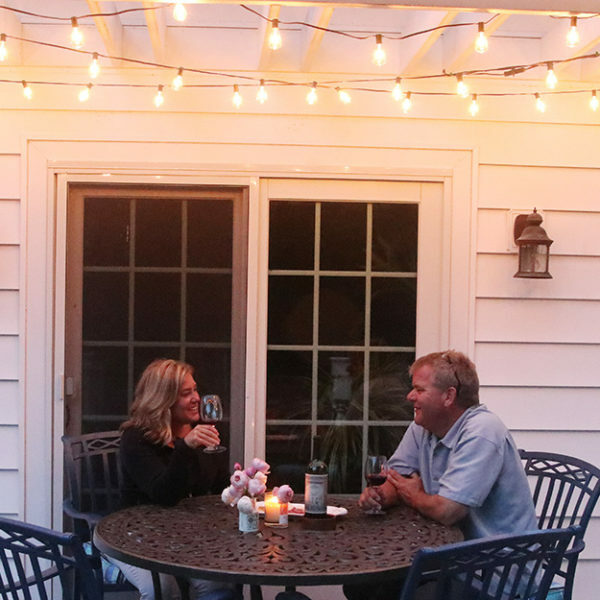 Before I launch into what is probably the closest I’ve ever gotten to a rant on this blog I want to just say that I firmly believe in the idea of doing what you like in your own house and garden. These spaces should please you, and if they please someone else in the process, I consider that a bonus. But what does not please me is the faux plant takeover. I’m being kind here using the word faux, because let’s be honest, this is plastic masquerading (often poorly) as a plant. If you think about it, it’s completely the opposite of a plant. I’m not great at growing houseplants, but I wouldn’t be without them. Most of mine are huddled in our den/office where they survive until their annual summer vacation on the deck. If you spend any reading home decor magazines or following home decor folks on social media you know that faux plants are a big deal. A couple weeks ago a popular home DIYer Instagrammer shared the “best faux fiddle-leaf fig” they’d ever seen and the damn thing sold out in hours. There’s probably a black market for them now. 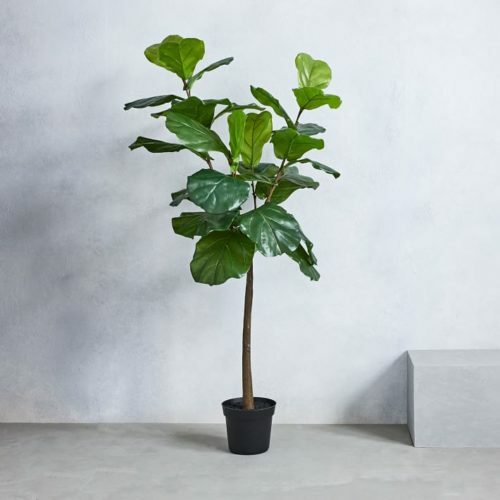 For a mere $200 you can have this completely fake looking fiddle-leaf fig. I know basically nothing about growing fiddle-leaf figs (Ficus lyrata) but I know enough about them to know that they are not easy to grow (and this article confirms that). I have seen people I know to be good gardeners kill multiple fiddle-leaf figs because they just aren’t well-suited to growing in houses. New gardener receives 50 tweets advising him or her what to do, including everything from dousing it with chemicals to dumping a bag of epsom salt in it to doing a healthy plant dance. Nothing works. So now, instead of an air-cleaning living plant in the house, there’s a petroleum-based fake plant in the corner. But hey, the room looks great on Instagram. I cannot wrap my head around this. And I am not great at growing houseplants. If they didn’t go outside to a shady corner of my deck every summer I guarantee they would all be dead. But I’d rather have a sad-looking spider plant than the most beautiful fake fiddle-leaf fig. 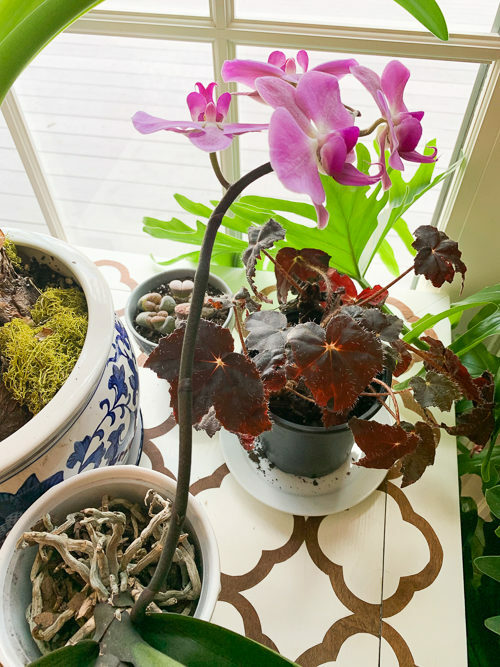 My little table is home to an assortment of small plants: The amaryllis bulbs I got to rebloom this year, a new “collection” of living stone sedums, an adorable rex begonia and a phalenopsis orchid I also got to rebloom. 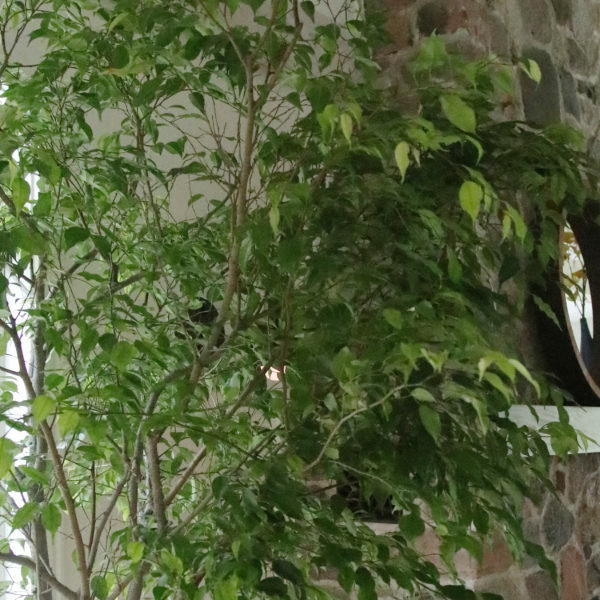 Plants are so lovely in a house. I have them in my house because I must have something living and green. They instantly make a sterile room feel homey and alive. I just don’t get that feeling from a fake plant. And what’s gained to be gained by having them? Certainly not cost savings, because good fakes (if you can call any of them that) are much more expensive than their living counterparts. You could buy (and kill) several real plants for the cost of a good fake. And don’t get me started on a bad fake, because nothing says “Someone probably died in this house” more than a fake plant. If a spot doesn’t get enough light to grow something real, then maybe you just need a stack of books. 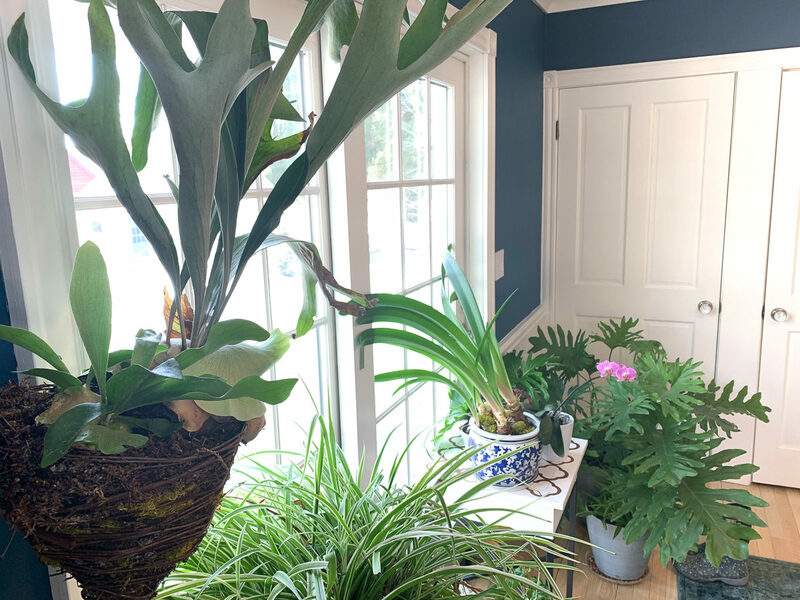 There are only a few houseplants I have an emotional attachment to: my grandmother’s ficus (overwintering in a different room because it got taller than the ceiling in this room) and my staghorm ferns in the foreground. I like the rest, but they don’t get babied like the other two. I have a few stems of fake ginkgo leaves that I pop in a vase on the mantel from time to time, but this is mostly a move made out of desperation than anything else. If there’s live plants to be had from my yard, that’s what you’ll see there. I assure you though, that’s the only faux plant material you’ll see in my house (notwithstanding craft project or a hat from my grandmother that I think would be good for a Kentucky Derby party). But here’s the thing: I feel like we need to help spread the message that it’s easier, cheaper and better to grow a real plant than stalk Target for a sale on fake fiddle-leaf figs. Who’s with me? Well, I think you are needlessly putting yourself down. I flatter myself to think have done rather well with houseplants over the years but i have NEVER had an orchid bloom for me. 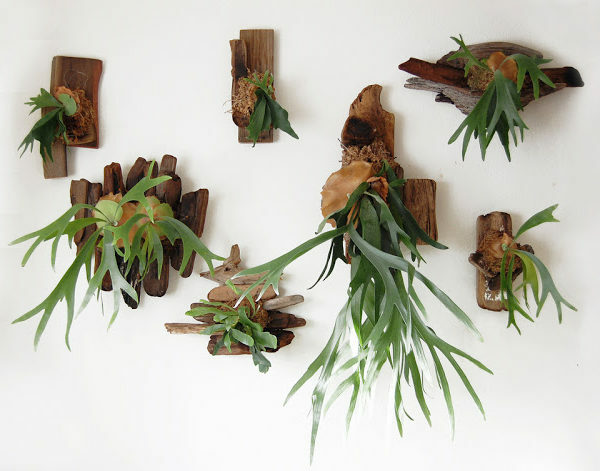 your staghorn fern is a beauty! If my home was larger I’d invest in one! In the meantime though I’ve gone a bit bonkers with my orchid room! I am totally enamored by the beautiful blooms I’m getting in Nov, Dec, Jan and February…and the beat goes on in March. Yes, they take a few hours a week of my time, but sitting among them on a cold winter’s day is such a treat and really helps keep those winter blues at bay! Hubby has another room with Citrus and jasmine perking up our noses with their intoxicating scents! Not anything you can get from even the best faux plants! Sadly, I left my one and only orchid out too long last summer, so now it is gone. Like you, I abhor faux (ahem) plants. My space is tiny, yet I can manage to have a collection of succulents, teeny tiny ones, that I propagate (which involves stuffing the bits that fall off when I open the curtains into a new pot), and grow in old china tea cups, so always a ready gift for someone; a parlour palm which is a very slow growing plant that demands little from me. ; and a few herbs struggling along in the kitchen along with a couple of other lovelies. I get the idea of a plant to add to the decor, I really do, BUT the key word is plant. Contributing to the off gassing of chemicals instead of the purification of the air you breathe is just a sad practise and one more example of the madness of the lives of many of our fellow humans these days. I am sorely tempted to get a couple of very big fake plants for my AirBnBs–fake because I am not there daily and because the main place I want to put one is in the stairwell, which has little natural light. But I would go for silk, not plastic. And I am still on the fence about the idea altogether. For many years I had a bouquet of fake tulips on my desk, a gift from friends from the Netherlands. They were a vivid purple, and co-workers would come by to remark on the color, thinking they were real–until I pointed out they had lightbulbs inside. Light-up tulips. I loved them. When I lived in an apartment, I had tons of (real) plants, but living in a house with more garden than time, I have only a few indoor babies now. This made me laugh out loud (it was the fig, seasonal throw pillow, and pouf comment…none of which we have…living in a dump here), and we are with you! My husband won’t even allow fake plants on seasonal front door wreaths, so we are once/year winter wreath people. No fake plants in our house, even though all of our plants are crammed on high surfaces, out of reach from the cat who chews on them and then barfs everywhere. 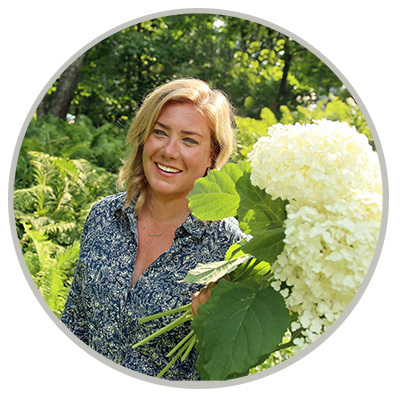 It drives me nuts seeing “influencers” peddling fake plants. I have succumbed to the faux plant since I have reached the age of 70. This does not mean I do not have many real houseplants inside and always choose flowers from my garden over silk. But there is a place for both especially especially since they are doing such great work with fauxs. I have been a Master Gardener for about thirty years and will continue to dig in the dirt as long as possible but those beautiful silk orchids on my table being a smile to my face while I wait for my many real ones to rebloom. Designer for many years and never touched silk, only used preserved material. 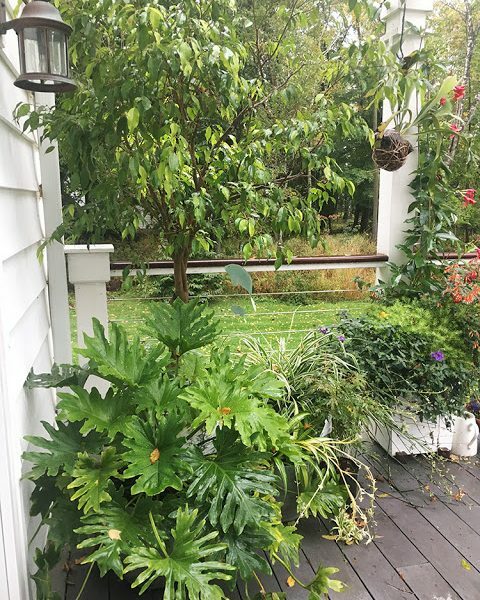 If you can keep a stag horn fern looking that great for an extended period of time, you are selling yourself short, Erin. They are trickier than fiddle leaf figs! I would never have fake plants in my house, but then I don’t have white cupboards, couches, and wooden floors everywhere either. Everyone should do what brings them pleasure and comfort in their own home. Right now my dining room table is covered in pots of bulbs I forced and there will soon be a shelf with grow lights right beside it. Not IG worthy for sure, but it will make me happy! Each to their own. I’m with you all the way! Fake plants are so not my thing and consider them dust collectors that the spiders enjoy more than me and are just plain tacky. .Besides the obvious reasons to dislike fake anything I’m also conscious of the fact that they are made out of petroleum which in my book is a big environmental no,no and surprised the designer goddess isnt on board to that fact. Indoor plants are so much more rewarding since they helps clean the air inside your home and the experience of seeing them flower and taking care of them is good for the soul. What a hoot! Yes, I agree, but not just with plants – plastic bowls vs. glass or clay, plastic drawers vs. wood, plastic anything – blek! It’s tacky as well as toxic. (ah-hem, maybe don’t ask me how I really feel – heehee.) Okay, I’ve calmed down now ~ and I totally agree with you. Erin, you’re hysterical! I’m not big on “faux” either. I had a gardening friend that used to put fake flowers in her gardens. Her gardens were gorgeous and definitely didn’t need the crappy plastic flowers. She was a sweet old lady so I didn’t give her grief. Good post. Thanks for making me laugh! I believe we’re sisters with a different mother!!! Totally agree! It’s not organic if it can’t breathe! Our home is full of FLF . Every room, for years and before the trend of owning one. Living in the Midwest, they too go on sabbatical during colder months!!! Check out my dope button on IG. You’ll see my silly but true quotes from NASA the importance of a live plant in every room. Without them I’d lose my mind!!! I’m so with you! Though I must confess, I recently purchased a faux plant for a spot where it’s tough to grow anything other than a pathos (I think that’s the name for the plant) and I feel guilty every time I look at it. I thought for certain my husband would call me out but he hasn’t – he really despises petroleum based anything! I avoided the pathos because I already have one in this room, but I’m rethinking my decision. It’s too late to return the fake, but I think it will be sent packing for a real plant! And I love the staghorn fern! I must get one! I have to agree but mostly because I think it is another instance where something real and alive has been turned into a commodity. Just look at how real plants are referred to as “plant material” as though they are no different from a throw pillow. 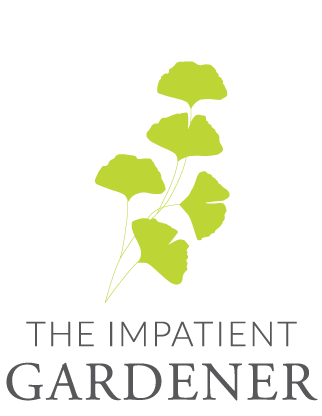 The woman above who is a master gardener and age 70, knows the difference so I am good with that. And your plants look great. Love your map on the blue wall. And don’t get me started on AirBandB and the gig economy!!! Brilliant blog! Real plants are definitely superior to fake plants. There are also so many low maintenance plants to chose from that are actually really easy to look after so there’s no need to buy a fake plant. Thanks for sharing your thoughts! 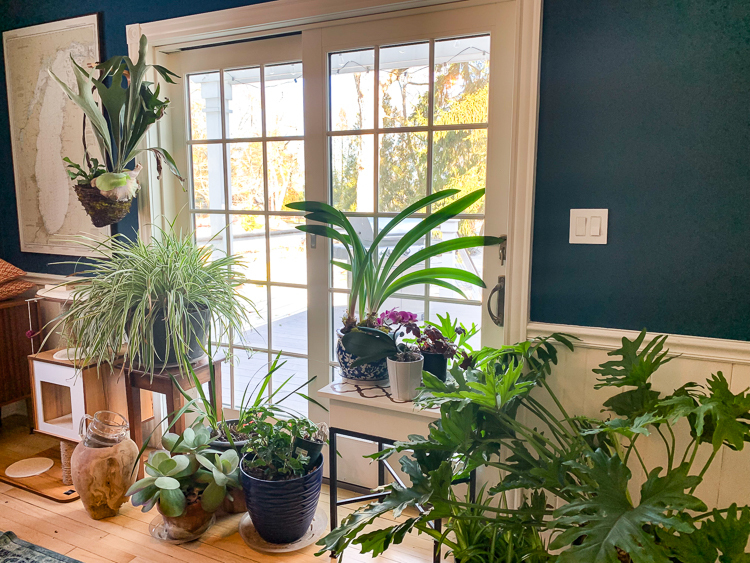 I have grown houseplants since I was a teenager, so they are a no-brainer for me. The life and oxygen they bring to a room is irreplaceable. The only room where I don’t have plants is our bedroom, since I work nights and have blackout curtains for my sleeping days. However, I do have faux wreaths on our double front doors. With a western exposure and the dry heat of central California, live wreaths do not last! There are a LOT of new house plant care resources out there. Indoor jungles are a popular thing with young people, and I am glad! Thank you so much for this post! I’m with you 100%. The line about having a piece of petroleum in the corner rather than a living plant was really good. Fake plants are just creepy. It’s unfortunate that much of the public seems to believe they can’t keep plants alive. We keep pets and children alive. Plants need even less attention and care, and the reward is the beauty and satisfaction of their growth.